The entire nation's in mourning; for me, personally, there was no one like him. The world knows that we student leaders of the 70s JP Movement cut our teeth in politics under JP - but unlike my other peers I had to really wait and made my entry into Bihar Legislative Assembly only in 1985 and reached parliament four years later in 1989. That was an election which completely changed the politics of what some like to call the Hindi Heartland. But my close association with Atal-ji started only in 1995 at the Mumbai National Executive meeting of the BJP which we all attended; George Saheb was there too. 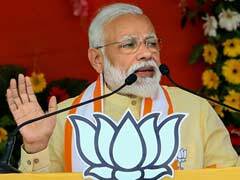 At the time, the BJP was in search of allies and we, the Samata Party, after the rout in assembly elections, needed a partner like the BJP to break the myth of Lalu Yadav's invincibility. But what really strikes me is that at that time, the BJP, led by Atal-ji and Advani-ji was open to our suggestion to drop contentious issues like their demand for a Uniform Civil Code, Ram Temple, and removing Article 370 for Kashmir. 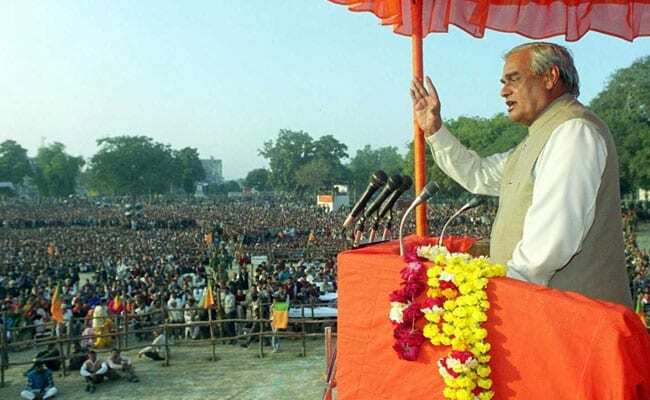 This allowed us to fight our first election together in 1996, winning seats in double digits, which was an impressive performance in Bihar; from that election onward, Atal-ji often came to my erstwhile parliamentary constituency Barh; and if Vajpayee was coming to campaign for you, you could be sure that even your political detractors would sit up and listen to what he said. A closer association with him started in 1998 when I was inducted in his cabinet as Railways Minister. 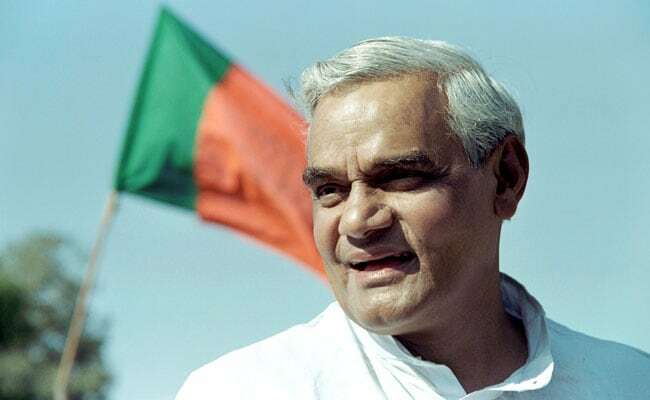 Although our government fell next year, in that short span of time, Prime Minister, Vajpayee who used to quip that he's Atal and Bihari, gave a power project to Barh, my then parliamentary constituency, another in Hazaribagh, and an ordnance factory in Rajgir which was part of George Saheb's constituency; from then till the bifurcation of state in 2000, all the important portfolios of Finance, Defence, Railways were manned by MPs from Bihar. 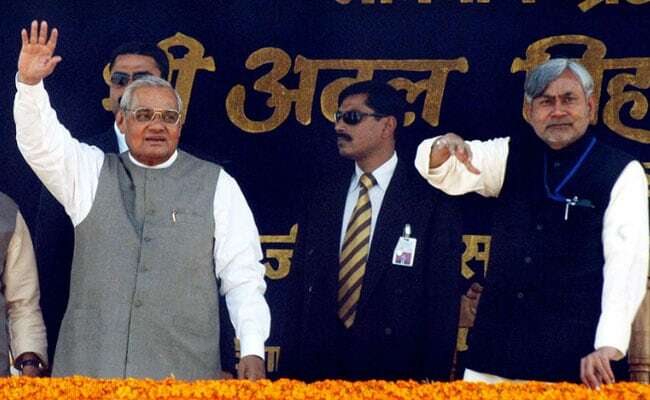 In 1999, after the huge Gaisal accident in which two trains collided, killing nearly 300 people, I realized after visiting the site people had died due to negligence on the part of Railways staff; I resigned but Atal-ji was not in a mood to accept; I had to really lean on him to concede to my wish. 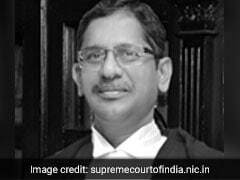 During the 1999 parliamentary election - those were the days of ballot papers - counting used to take two or three days and there were reports that I was losing my election; out of sheer concern and anxiety, he rang me up to inquire about the progress and when I assured him that the result was in my favour, he hung up, relieved. 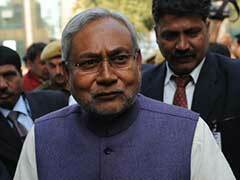 He was very generous to Bihar and me. If the Planning Commission opposed or roadblock-ed our proposals as resources were scarce, I used to rush to him seeking his intervention and in his inimitable style, he would ensure that things were sorted out. If he had continued as PM for another 5 years after 2004, I really believe Bihar would have benefited with much more development. 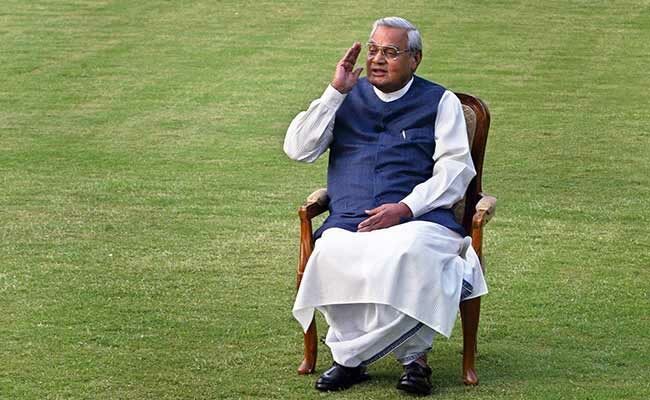 People of Bihar will never forget him because he allowed us infrastructure like the Golden Quadrilateral of highways; at least three-mega bridges including one on the Koshi river; all this changed connectivity for residents. Had it not been the leadership of Atal-ji, I would not have learned basics that I practice in governance even today; he effortlessly demonstrated that you could oppose other politicians while being immaculately polite to them; he took questions from journalists on the toughest topics and in the most adverse of situations; his innate and unfailing faith in our parliamentary democracy and how to treat allies with respect was a trademark. 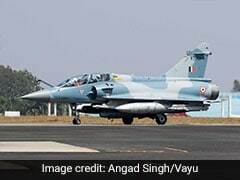 Atal-ji, whatever you taught me, I practice today. Your loss is immense.